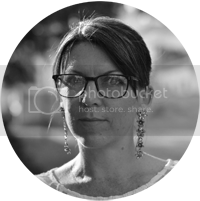 Katherine Owen writes contemporary edgy fiction, which translates to: she writes love stories that are contemporary in setting and both edgy and dark. Some readers term her books emotional roller coasters. With her writing, Owen admits she has a fondness for angst, likes to play with a little drama, and essentially toys around with the unintentional complications of love. She contends this began early on when she won a poetry contest at the age of fourteen and appears to be without end. Owen has an avid love of coffee, books, and writing, but not necessarily in that order. 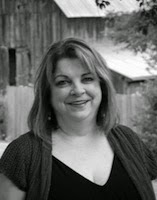 She writes both Contemporary Romance and New Adult fiction which includes her bestselling TRUTH IN LIES Series (a series despite despising 'series') beginning with This Much Is True and her latest release, The Truth About Air & Water. The TRUTH IN LIES series is fan-driven. So. There will be a third book about Linc and Tally released in 2015 titled Tell Me Something True. About Owen's fiction...This is NOT the light trope stuff. She travels a unique, writerly path and enjoys writing dark and angsty (a "non-word" she is fond of) emotional love stories. She often warns readers to be prepared with: time, tissues, wine, Advil or your drug of choice. And, as her most favored character, Lincoln Presley, would say, "do what you must, Princess." KO: I dream some of scenes of my book while sleeping or at the REM state of sleeping when just waking up. I have a recurring dream of water and being in a car which always reminds me to get that tool that breaks the window glass. KO: I started writing seriously about five years ago and released my first two novels in May of 2011. What is it about contemporary romance that appeals to you the most? Do you read other genres? KO: I write emotional characters and toy with the complexities that come with relationships. That’s my wheelhouse I think. These aren’t necessarily predictable love stories but it fits well enough within the genre. I strive for a happy ending but some readers do wonder if we’re ever going to get there. Basically, I write unpredictable storylines what are often termed as emotional roller coaster reads. I read a variety of genres. I love thrillers. My husband wishes I would write one. Probably not going to happen. KO: My latest novel is The Truth About Air & Water which is a follow-on storyline to my first new adult book, This Much Is True (released August 2013). This is a continuation of the story with these two characters, Tally Landon and Lincoln Presley, from that first bestselling book. I wrote The Truth About Air & Water as a standalone like the first book, but most fans of my work insist new readers read This Much Is True FIRST. 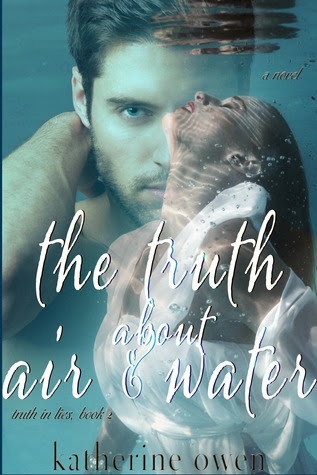 Here’s the blurb for The Truth About Air & Water, book 2 in the Truth In Lies series. You only think you know how this love story goes, but do you really know how an epic love can end? She is living color, and I’ve been in a black-and-white world for far too long without her. Author's note: This novel is part of the Truth In Lies series. It can be read as standalone, however, fans of my fiction already are highly recommending that those new to my work, READ This Much Is True book 1 FIRST. KO: I wrote This Much Is True and felt pretty happy with the ending. Then the demand for more of these two grew louder and more persistent. Additionally, a writer/friend talked me into doing a series. Thus, the Truth In Lies series came to life. I knew there was more to these two, after a long while, it came to me in the form of a what-if question: what happens when you appear to have everything? What’s next? And that is where the inspiration to write The Truth About Air & Water came from. KO: Thank you! I design all my book covers. It is part of those controlling tendencies of a Type A personality that does not want to ever let go. KO: There are some looks to Megan Fox that are good reminders of Tally. Both her eyes and her dark hair could easily be Tally’s. But casting Tally? That’s a tough one. As for Linc? Hmm…Lionel Clerc (male model) is fresh in my mind and there is much inspiration on my Pinterest page here as well as an avid fan of mine on Jamie Stokes’ Pinterest page. Check them out for inspiration and who you would cast. What's your favourite contemporary romance book that made it to the big screen? KO: We just watched Divergent four times in a row. I loved it! I hope that counts as contemporary romance even though it’s YA and sci-fi. This summer my family hauled me out of the house to see “Guardians of The Galaxy” because they told me Bradley Cooper was in it. He is, but not the way you think he would be. That’s a bit of a romance too. I’m on a bit of tear right now getting ready for writing and finishing the draft of Tell Me Something True book 3 in the Truth In Lies series with Linc and Tally. KO: Autumn Doughton. We recently became friends on Facebook. She’s far cooler than me. She just got back from Europe doing research for her next book. How cool it that? I have trouble getting out of the house to make it to the post office let alone Europe. She’s super balanced and nice to everyone. Yes, KO has some of those goals to be more open and nice and less opinionated and not swear as much. It’s always weird to go to third person in talking about one’s self, right? KO I have an office set up in our basement and have positioned my monitor so I can glance up and look out the window at the lake any time I want. KO: I’m an excellent driver. KO: Anne Hathaway. It’s my life, right? KO: I live in the land of beauty and rain and mountains and trees and our guys won the Super Bowl last year. KO: I’m working on the third book in the Truth In Lies series titled Tell Me Something True and another work-in-progress called Saving Valentines. There’s plenty of writing for me to do in the next six months. KO: I’d like to write the screenplay for one of my novels and have it made into a movie. KO: I have a variety of songs I love to listen to, including anything by Kelly Clarkston or John Mayer. KO: A writer. I won a poetry contest at fourteen so I guess that dream set within me early on.